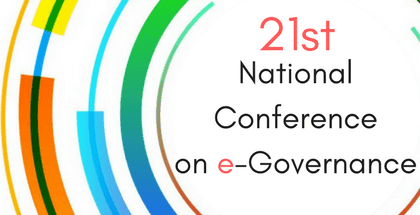 The theme of the conference for 2018 National conference on e-governance is, ‘Technology for accelerating Development’. The conference was organised by DARPG, MEITY along with Telangana state government. Three plenary sessions on the first day would be based on sub-themes – Building User Experience, Universalisation and Replication, and Governing e-Governance. On the second day, the plenary sessions would centre on e-Governance Good/Best Practices and Emerging Technologies. For the final session ‘Synergising Role of National and State Governments’ is the theme. Minister for IT, Municipal Administration and Industries K.T. Rama Rao was the chief guest at the inaugural session. Union Minister of State for Science & Technology and Earth Sciences Y.S. Chowdary would preside over the proceedings. Minister of State in the PMO Jitendra Singh would give away the awards. He presented 19 awards in 8 categories for their commending efforts in use of technology.